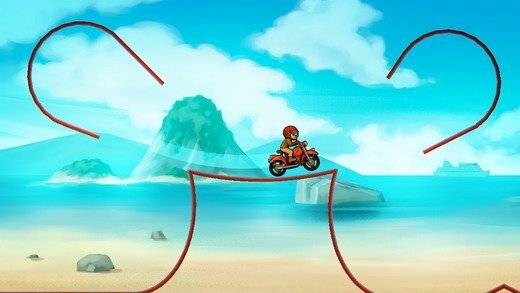 If you've played Hill Climb Racing in any of its versions for iPhone, Android or PC, you'll know what we're talking about if we compare it to Bike Race - Top Motorcycle Racing Games. However, if you've never played, you need to know that we're referring to a racing game in which gravity and inertia play an important role. 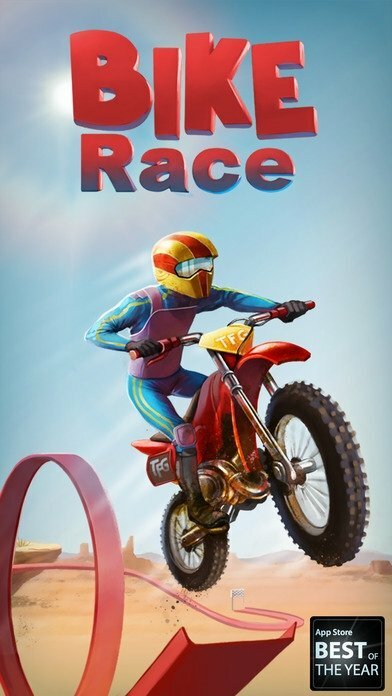 This is a very entertaining and addictive motorbike racing game as it's not all about crossing the finish line in the first position or breaking your time record. You'll come across 2D scenarios and crazy tracks on which obstacles are almost impossible. 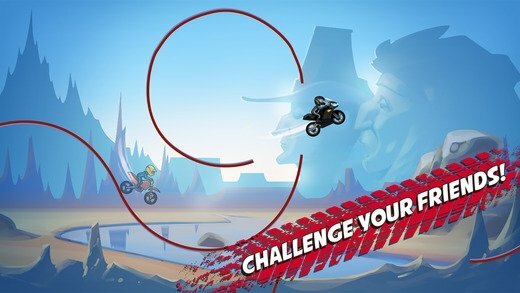 They will make you complete all sorts of jumps and stunts that will require that you play around with your iPhone's accelerometer if you don't want your driver crashing to the ground to end the game. Due to your speed, it's easy to lose your balance whilst leaping around. 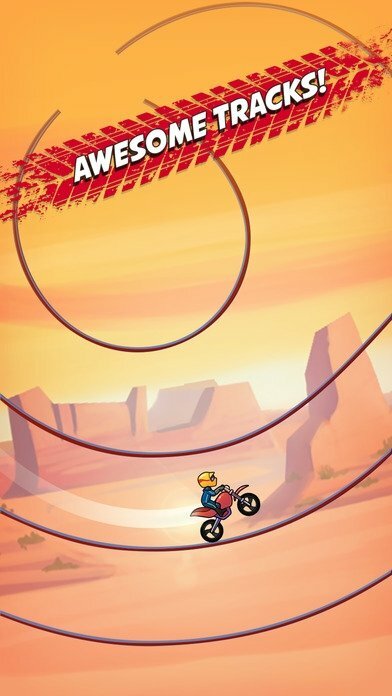 Therefore, you'll have to tilt your phone in one direction or another to make sure your biker lands correctly on the track. Other aspects to be controlled are obviously your acceleration and braking. Taking into account all the latter, you'll have to cross the finish line before the countdown reaches zero. Tilting your phone is the game's most important control. Earn stars to unlock new levels. 9 worlds full of different tracks. Over 70 tracks of progressive difficulty. The game comes along with dozens of levels each one of which is even more complicated than the previous, and which we'll be able to race around with the new motorbikes we manage to unlock. 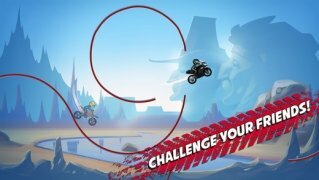 It's a very addictive racing game that also comes along with a version in APK format to be downloaded to your Android. 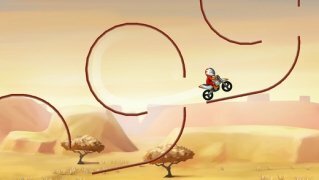 Regarding the possibility to play Bike Race on your PC, it's not very recommendable... unless it's got an accelerometer, of course.